Often you will want to capture some of the action on the water using a digital camera or action camera, such as a Go Pro. Cornwall Canoes stocks a range of camera mounts that a specifically designed for use on the water. Attach you camera to one of these mounts on your kayak so that you can show your friends what they are missing out on - whether its a battle with a monster fish, paddling with dolphins and porpoises, or that big wave you manged to surf onto the beach! Camera booms/poles are a great way to capture all the action when you are on the water. The Camera Boom 600 R-Lock is really useful for overhead shots, and many other great angles to really get some unique footage. Features one-handed R-Lock adjustment. 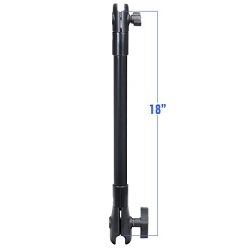 A versatile mounting pole for lights, cameras, flags and more! 3 screw-together sections allow for height settings of 38cm, 68cm and 98cm. Requires StarPort base mount. Attach this ball to the bottom of your Go Pro to make it compatible with 1" Ram ball gear. You can then attach you camera to Ram arms and poles that have a 1" socket end. 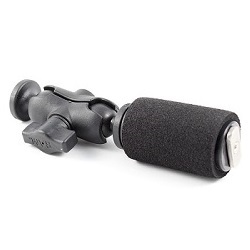 This adaptor is also compatible with the Garmin Virb X and Garmin Virb XE. 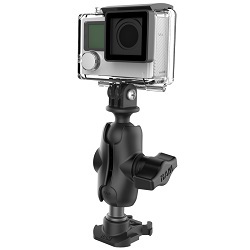 This camera mount will fit the standard Go Pro base mount and allows you to attach a Go Pro or Action Camera. 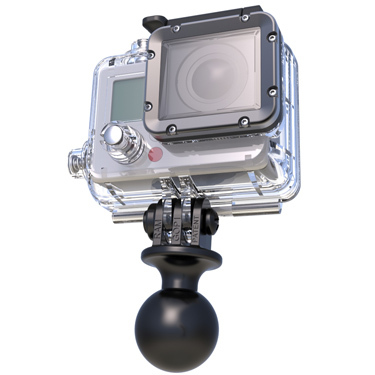 The ball and socket technology allows you to position the camera at the perfect angle with much more adjustability over the standard Go Pro mount. 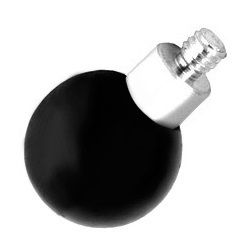 Attach this ball to the bottom of your digital camera to make it compatible with 1" Ram ball gear. 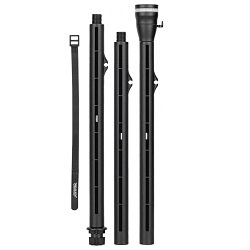 You can then attach your camera to Ram arms and poles that have a 1" socket end. This adaptor is with most digital cameras on the market. 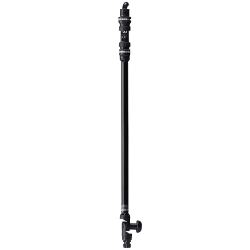 Use this pole with a 1.5" Ram ball base and a 1" Ram ball camera mount and you have a camera pole with infinite adjustability! Perfect for lining up the ultimate action shot whilst on the water. 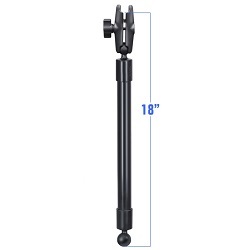 Use this pole with an 18" Long Extension Pole With 1" And 1.5" Open Socket Ends and a camera mount adaptor and you have a camera pole with infinite adjustability! 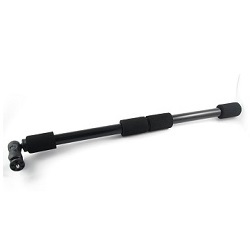 A tough track mounted action camera pole featuring a strong dual T-bolt track base for mounting to kayak accessory slide tracks. 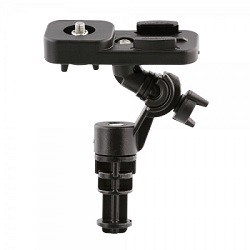 Attach a Go Pro or Action Camera to any Scotty base using this handy adaptor. Fully adjustable to get the perfect shot! The PanFish is a camera mounting pole designed for getting those over-the-shoulder shots of all the action. The two-piece pole is joined by friction slip disks for easy horizontal panning. 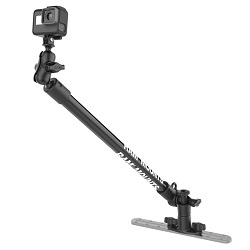 The pole features a T-Bolt for easy attachment to a Mighty Mount or GearTrac. The PanFish Portrait is a camera mount designed for getting shots of all the action from infront of the kayaker. The two-piece mount is joined by friction slip disks for easy horizontal panning. 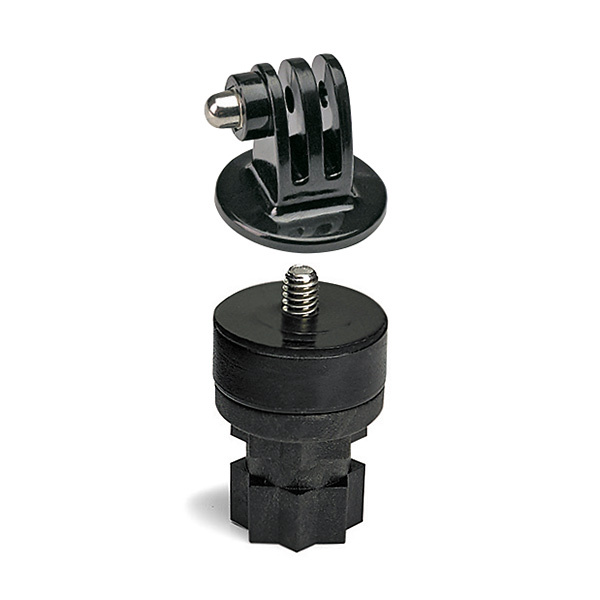 The mount features a T-Bolt for easy attachment to a Mighty Mount or GearTrac.